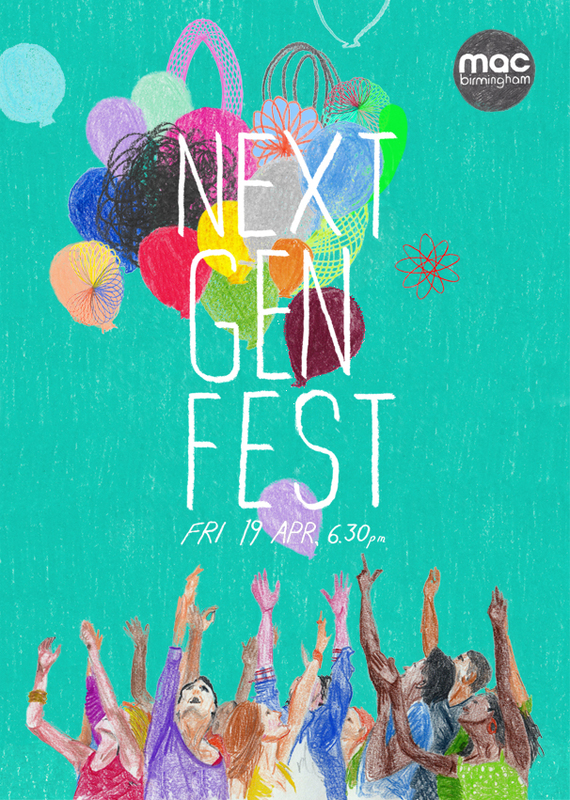 This month I've been lucky enough to get the opportunity to do some promotional design work for mac birmingham, starting with a flyer for upcoming Next Gen Fest. 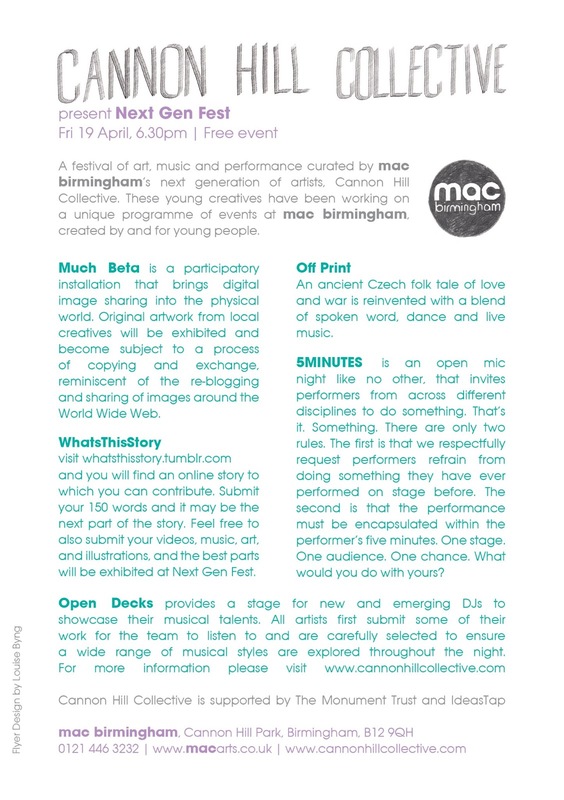 Aimed at directly involving 16-24 year olds within the midlands arts scene, Next Gen Fest has been created by the Cannon Hill Collective, and boasts theatre, dance, visual arts, music, and not least, partying. I wanted the flyer to depict an uplifting celebration with a springtime fiesta vibe, the balloons representing the individual's creativity being 'set free'. Pure cheese, but it really is going to be a bloody great bash. They even let me hand draw the trusty mac logo.